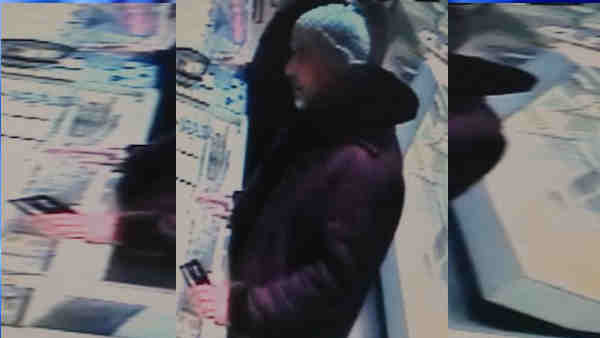 MIDTOWN, Manhattan (WABC) -- Police are looking for a suspect in the theft of thousands in diamond bracelets. Around 3:30 p.m. on Jan. 2, at the Royal Jewelry and Diamond Corp. on 47th Street, a man asked a store employee for help. When the employee turned away to get something, the man reached over the counter and removed a tray with 10 diamond bracelets. According to the New York City Police Department, the man put the tray in his coat and left. The property is valued at over $10,000. The individual is described as a black or Hispanic man, about 50, 6 feet 3 inches, 220 pounds, with a goatee. He was last seen wearing a purple coat and a gray knit cap.